I have read a few books about travels to the Arctic but never one about the Antarctic. When I heard about Ice Diaries, by Jean McNeil, a writer from Nova Scotia, who was selected to travel to the Antarctic with a British scientific team, I knew I had to give it a read. A decade ago, novelist and short story writer Jean McNeil spent a year as writer-in-residence with the British Antarctic Survey, and four months on the world’s most enigmatic continent — Antarctica. Access to the Antarctic remains largely reserved for scientists, and it is the only piece of earth that is nobody’s country. 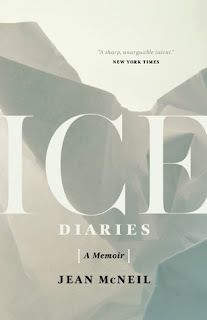 Ice Diaries is the story of McNeil’s years spent in ice, not only in the Antarctic but her subsequent travels to Greenland, Iceland, and Svalbard, culminating in a strange event in Cape Town, South Africa, where she journeyed to make what was to be her final trip to the southernmost continent. In the spirit of the diaries of Antarctic explorers Robert Falcon Scott and Ernest Shackleton, McNeil mixes travelogue, popular science, and memoir to examine the history of our fascination with ice. In entering this world, McNeil unexpectedly finds herself confronting her own upbringing in the Maritimes, the lifelong effects of growing up in a cold place, and how the climates of childhood frame our emotional thermodynamics for life. Ice Diaries is a haunting story of the relationship between beauty and terror, loss and abandonment, transformation and triumph. The book was very interesting but more eloquently written than I expected. At first I thought it would take away from the adventure of the story but as I read on found, the eloquence actually added to it. McNeil not only tells the story of being in the Antarctic but of the voyage and the personalities involved getting there. 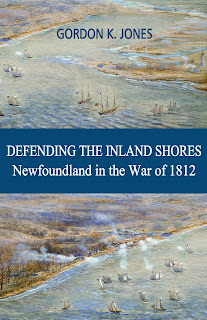 In most chapters, she also tells the story of her growing up in poverty and abuse in Cape Breton. I was wondering how this related to her trip to the Antarctic but it all ties together in the end. There are many types of ice. Who knew! Each chapter starts off with the name and description of an ice type. The pictures are so breathtaking. Just for that reason, I wish that I had read Ice Diaries in book form rather than on a Kobo. Part travel diary, part biography, part a study on global warming, part adventure, Ice Diaries is a book worth reading.